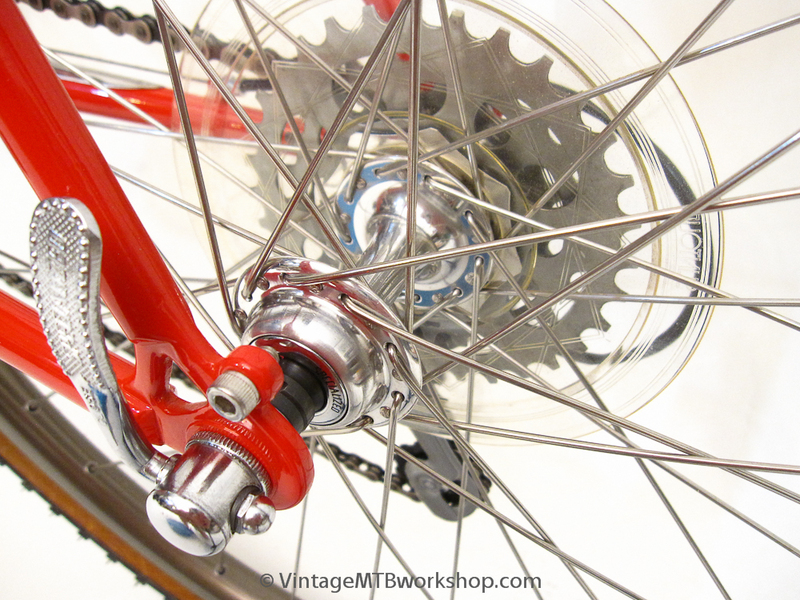 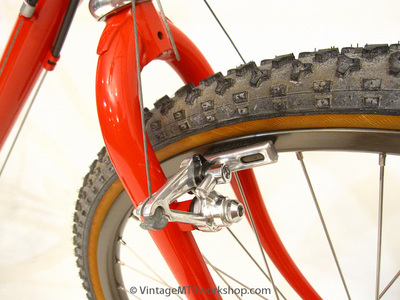 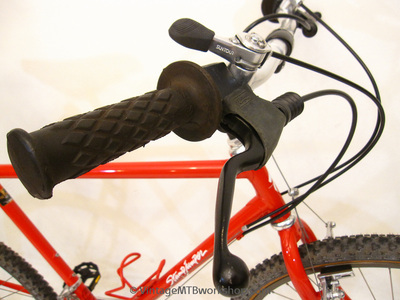 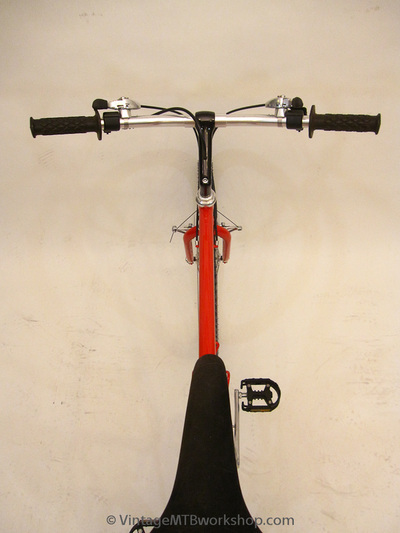 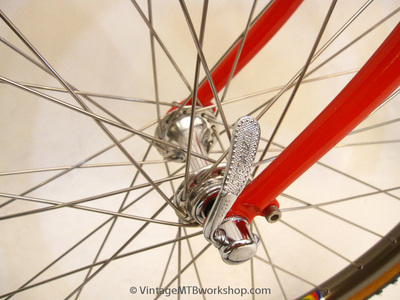 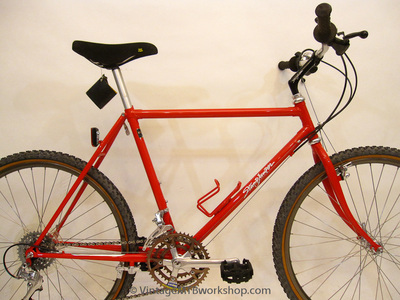 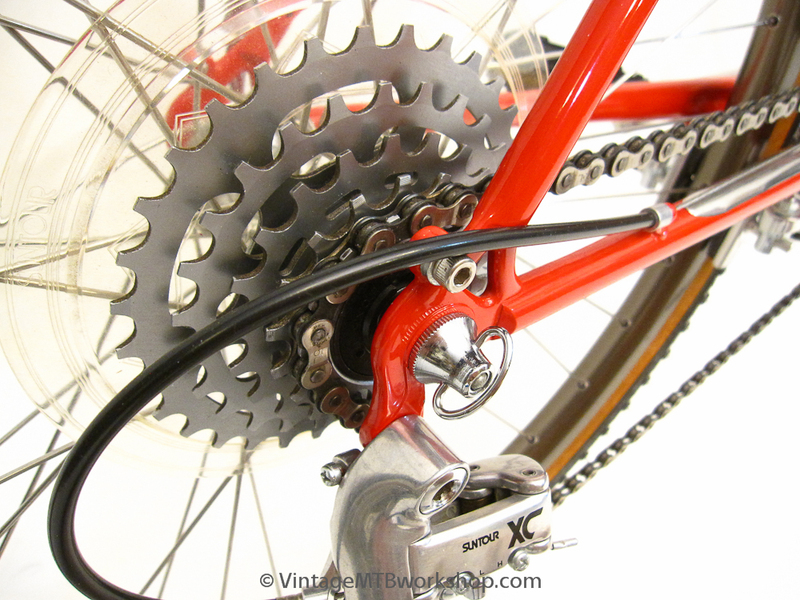 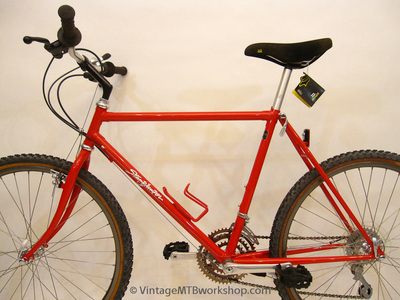 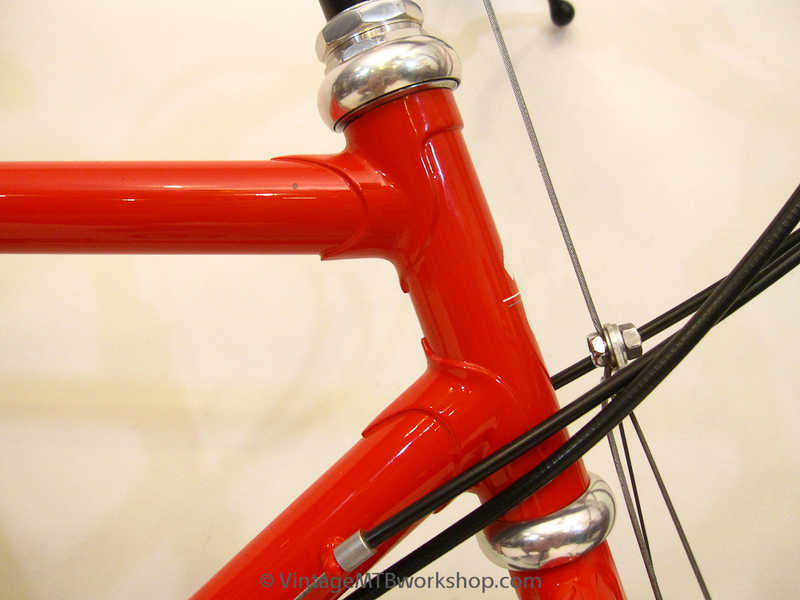 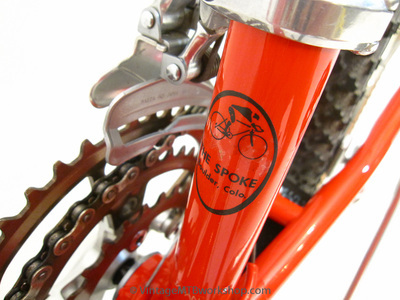 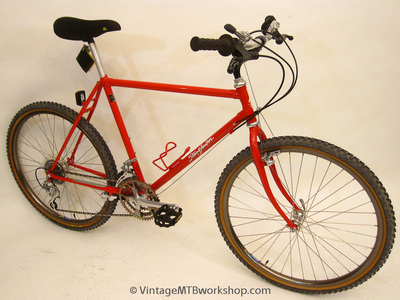 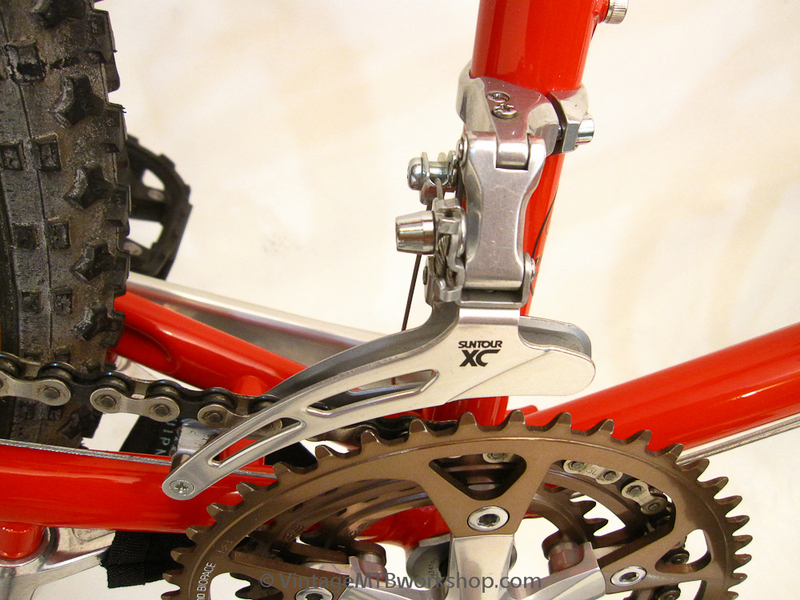 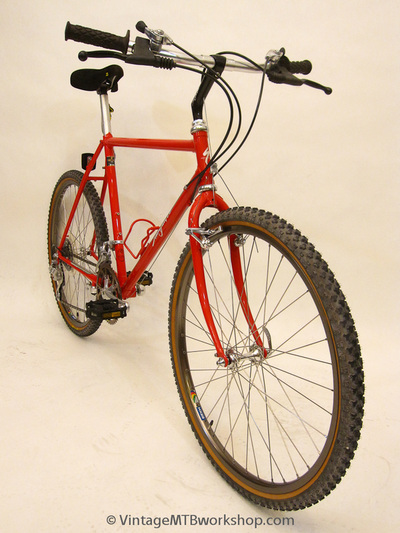 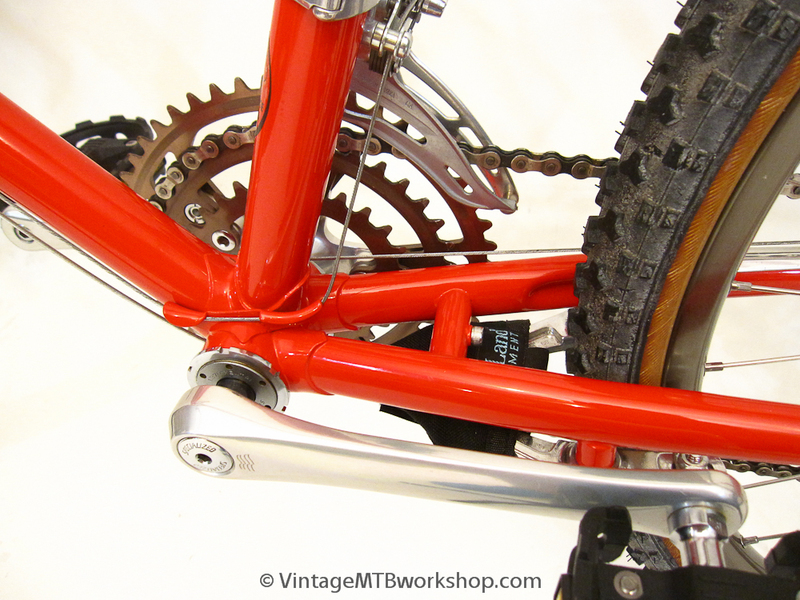 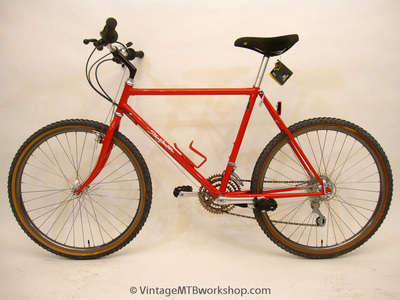 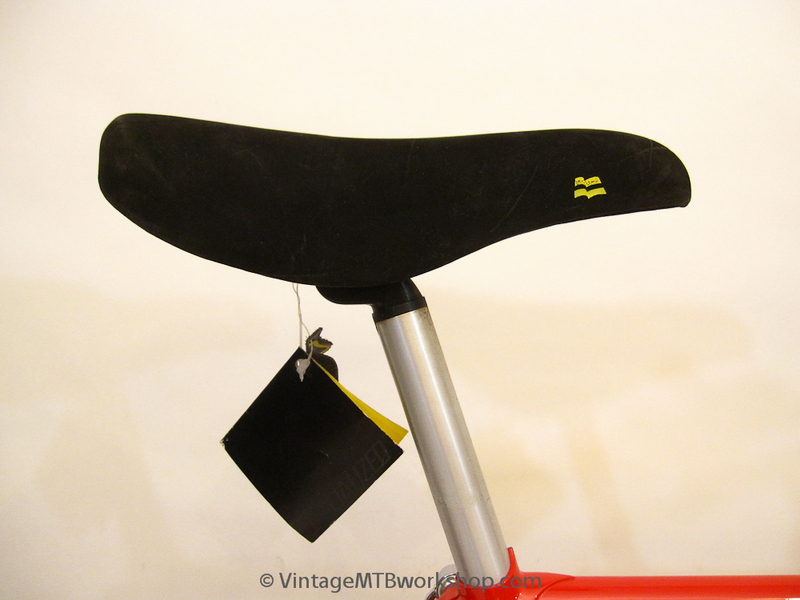 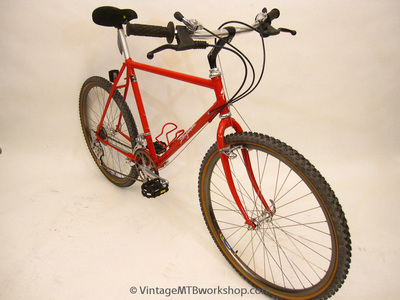 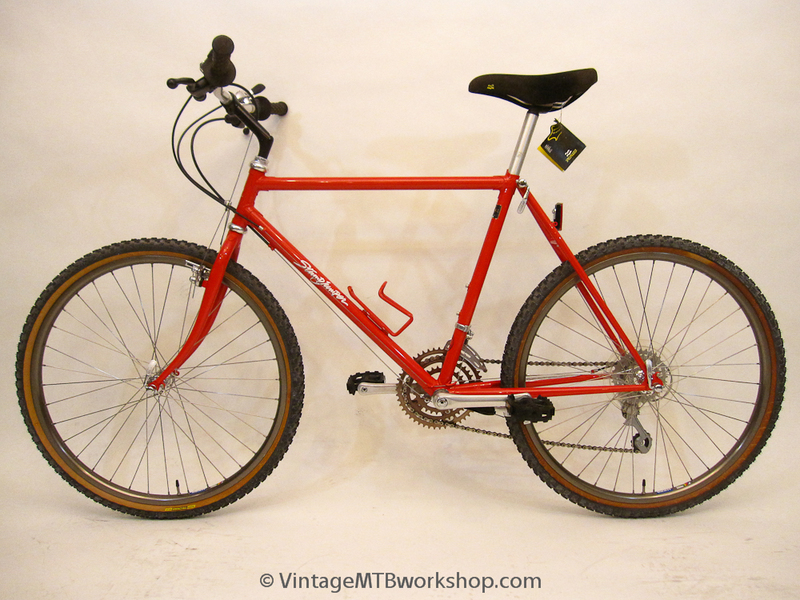 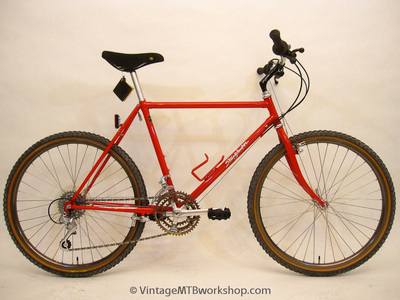 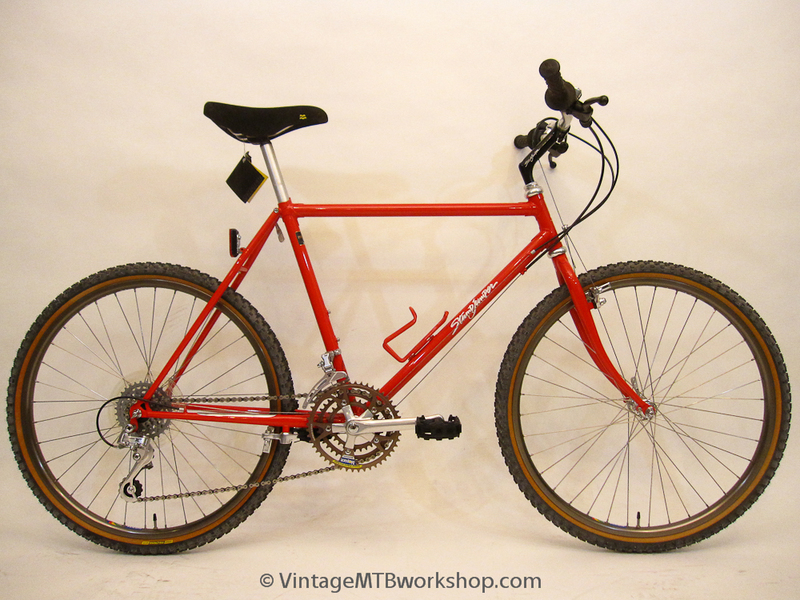 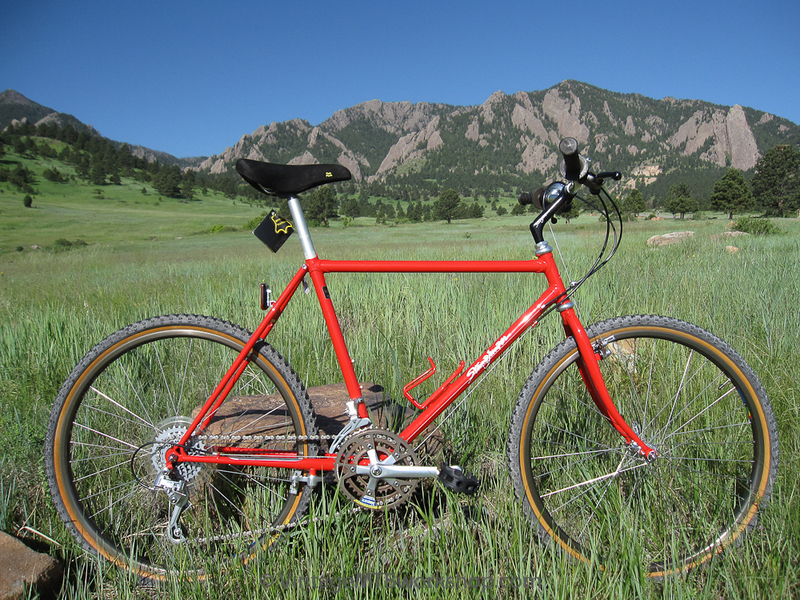 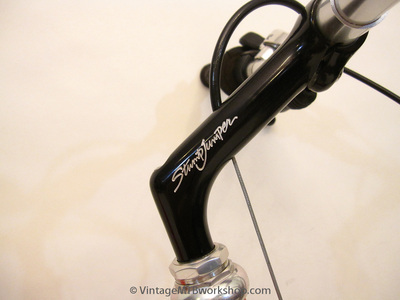 The Specialized Stumpjumper was a production bike that was made in Japan with Tange Prestige tubing and lugs. 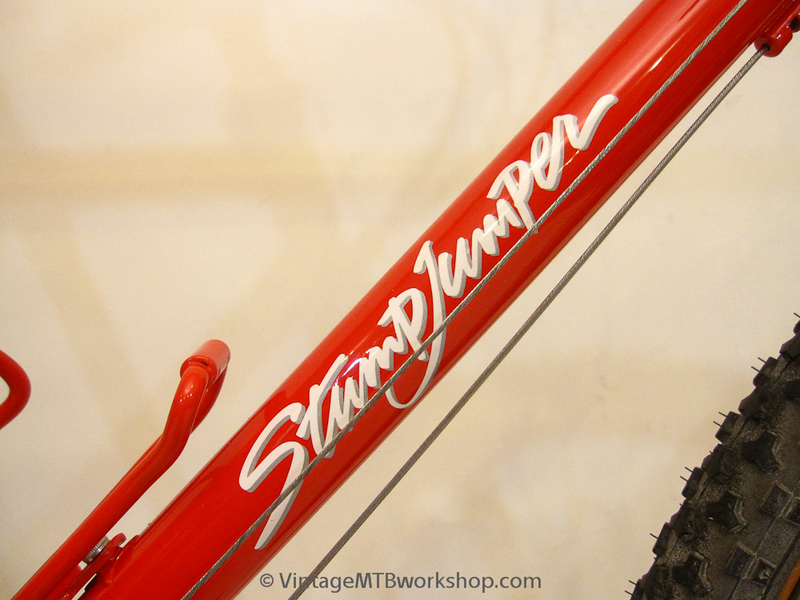 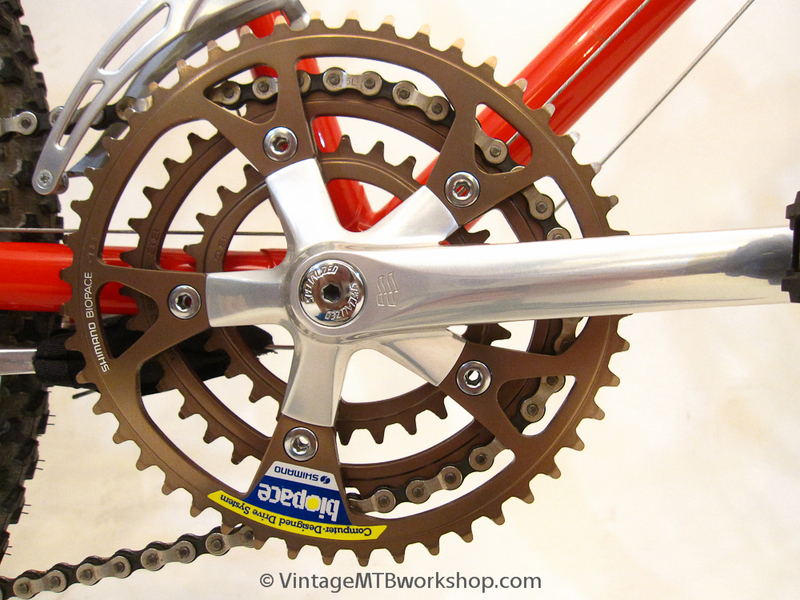 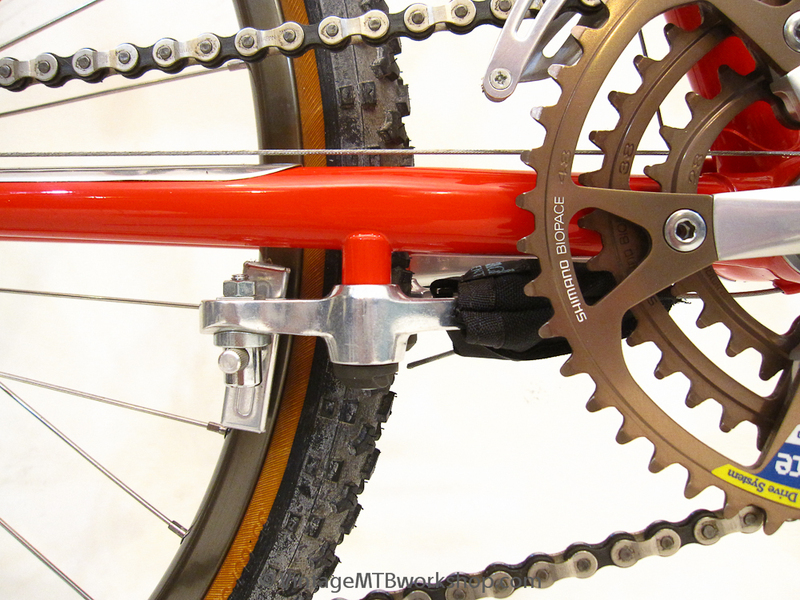 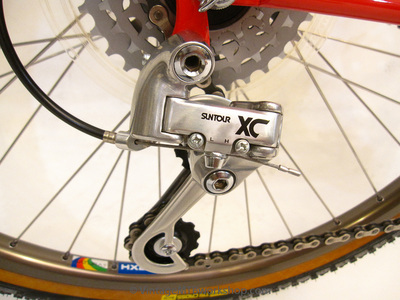 During the 1986 model year, it was only surpassed by the Stumpjumper Team, which had a distinctive pink paint job and more of a Shimano component mix. 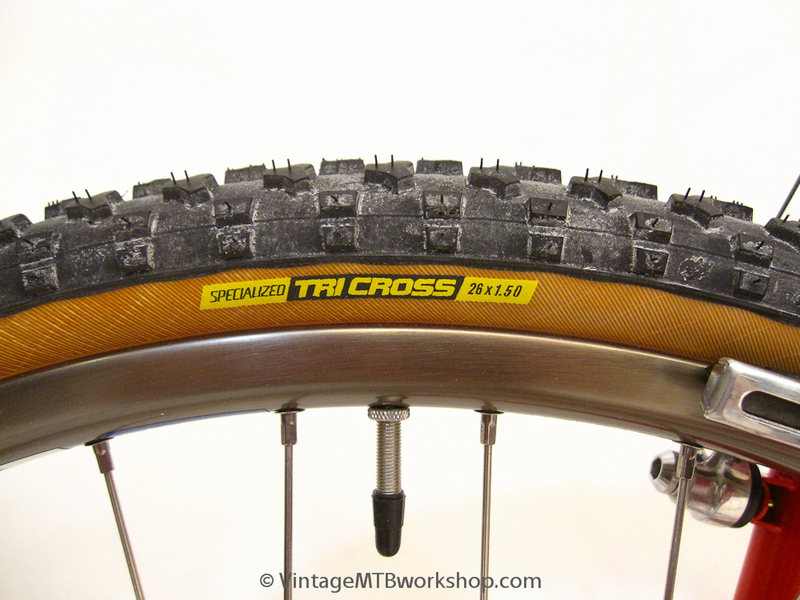 At the time, this bike was considered high-end for the serious enthusiast, yet the stock tires were a measly 1.5 inches in diameter with a very small tread. 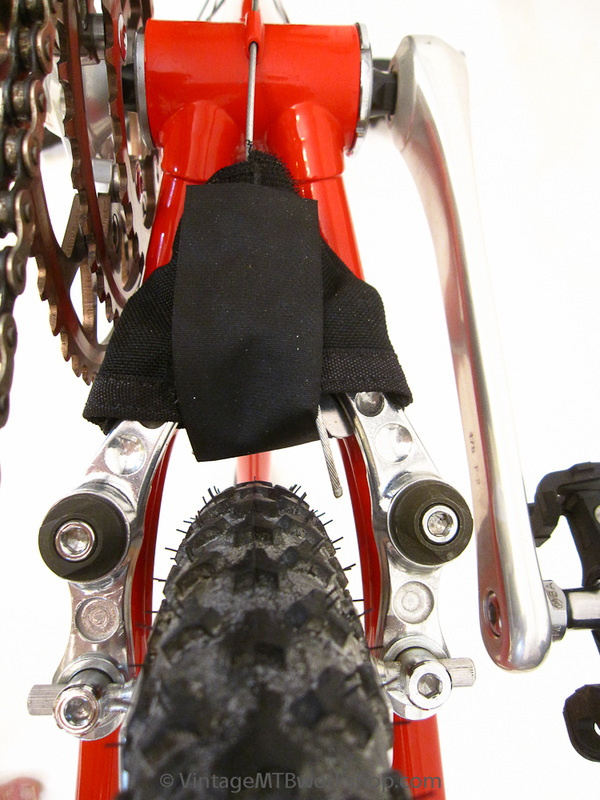 The chainstays were long at 18 inches, the riding position was very upright, and the fork had a generous rake. 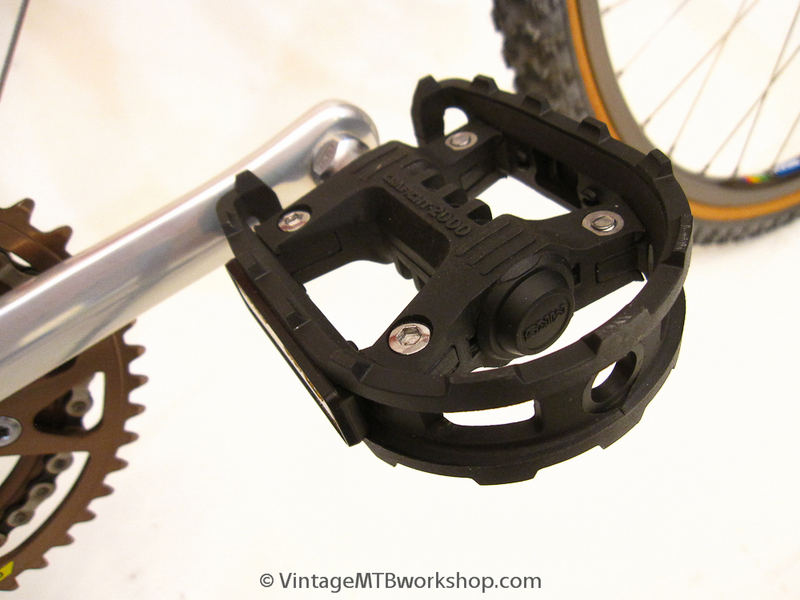 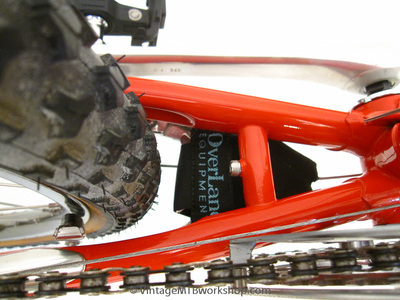 One model year later the Stumpjumper geometry would change dramatically and become much racier by today's standards. 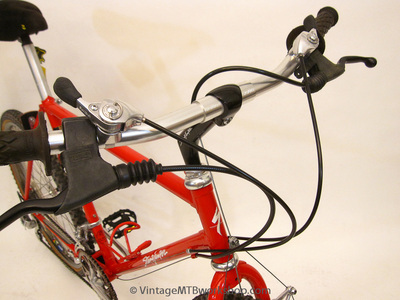 This particular bike is in mint original condition, right down to the tag under the saddle, MKS Grafight pedals, and Specialized Tri-Cross tires.